King of the Medicinal Mushrooms... Wildcrafted Siberian Chaga, a powerful and sought after Mushroom, possibly the highest antioxidant content Fungi. Documented extensively, possibly dating back to 3300BC. 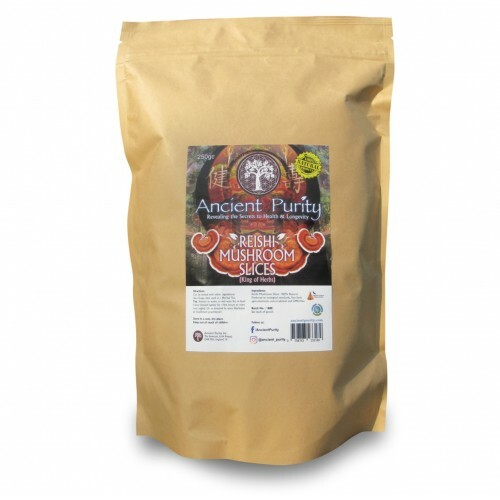 The power of ancient trees is present in this adaptogenic Mushroom. The Chaga Mushroom has strong immune enhancing properties, high levels of antioxidants. 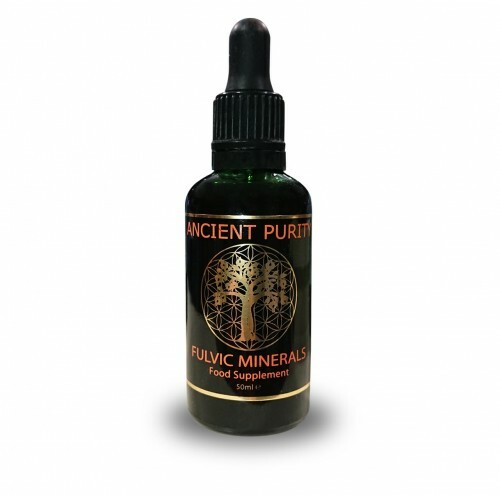 It is an amazing health and longevity tonic full of phytonutrients that slow the ageing process. Chaga mushroom has been a component of Russian folk medicine since the 16th century. 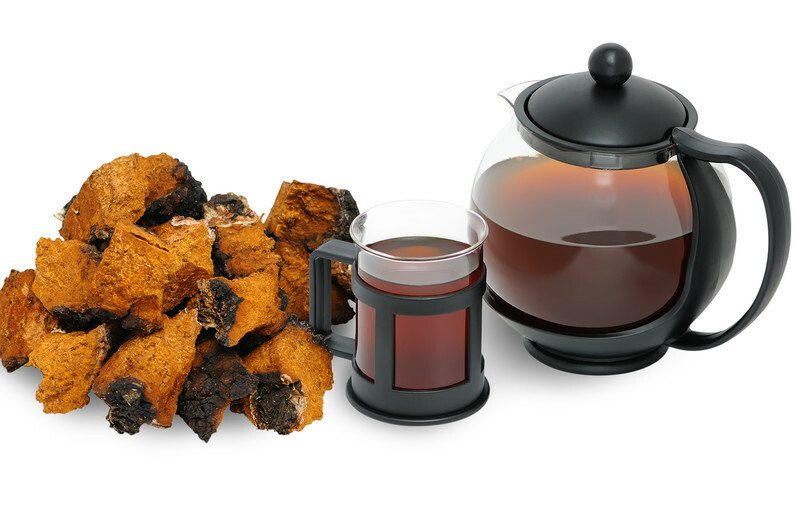 Chaga's scientific name is "Inonotus obliquus". It is often referred to as the Birch Conk, Clinker Polypore, or Tinder Fungus. The Chaga mushroom also goes by many other names. Known by the Siberian Russians as "A Gift from God" and also "The Mushroom of Immortality". The Japanese refer to it as "The Diamond of the Forest" Chaga is a premier adaptogen. An adaptogen is a metabolic regulator that increases an organisms' ability to adapt to environmental factors and resist stress. Though Chaga is a mushroom, the two most beneficial ways to consume its properties, are through a hot water extraction, by preparing it as a tea or an alcohol extraction, by making a tincture. Wild Crafted, from Nature to you. A Herbalist's Ultimate Tea Ingredient. Ancient use back to the Stone Age. Respected by cultures across the globe. Chaga polysaccharides effectively promote macrophage (white blood cell) activation through the MAPK and NF-κB signalling pathways, suggesting that Chaga polysaccharides help regulate the immune response of the body. Chaga has the highest level of superoxide dismutase or (SOD) detected in any food or herb in the world, Superoxide Dismutase (SOD) is an enzyme that repairs cells and reduces the damage done to them by superoxide, the most common free radical in the body. SOD is found in both the dermis and the epidermis and is key to the production of healthy fibroblasts (skin-building cells). Studies have shown that SOD acts as both an antioxidant and anti-inflammatory in the body, neutralising the free radicals that can lead to wrinkles and precancerous cell changes. Researchers are currently studying the potential of superoxide dismutase as an anti-ageing treatment since it is now known that SOD levels drop while free radical levels increase as we age. Superoxide Dismutase helps the body use zinc, copper, and manganese. There are two types of SOD: copper/zinc (Cu/Zn) SOD and manganese (Mn) SOD. Each type of SOD plays a different role in keeping cells healthy. Cu/Zn SOD protects the cells’ cytoplasm, and Mn-SOD protects their mitochondria from free radical damage. Superoxide Dismutase has also been used in the treatment of joint, prostate, ulcer, inflammatory, bowel problems. In its topical form, it may help to reduce facial wrinkles, scar tissue, wounds and burns. Chaga mushroom has marked immuno-stimulatory activity and should be considered by anyone seeking super health and longevity. Chaga contains B and D vitamins and lots of protein which promote health over stress, low mood and lack of energy. Chaga has potent immune supporting properties it is a rich source of beta-glucans and polysaccharides that are essential nutrients for the immune system. These polysaccharides have strong anti-inflammatory and immune balancing properties, enhancing the body’s ability to produce natural killer cells to battle infections. These polysaccharides are considered to be the primary active constituents of Chaga, at least from an immunological perspective. Upon ingestion, a range of secondary metabolites are produced, many of which are highly active as potent immune modulators. It has Sterols, triterpenes, saponins, and polysaccharides. Of the triterpene group, inotodiol seems to be the most active. Another component found in Chaga is Betulin which is absorbed and concentrates from the birch trees that it is commonly found to grow on. Betulin can easily be converted to Betulinic acid which has been shown to possess a wide spectrum of biological activities. The active constituents of Chaga are thought to be a combination of Amino Acids, Beta Glucans, Betulinic Acid, Calcium, Chloride, Copper, Dietary Fibre, Enzymes, Flavonoids, Germanium, Inotodiols, Iron, Lanosterol, Manganese, Magnesium, Melanin, Pantothenic Acid, Phenols, Phosphorus, Phytonutrients, Polysaccharides, Potassium, Saponins, Selenium, Sodium, Sterols, Trametenolic Acid, Tripeptides, Triterpenes, Triterpenoids, Vanillic Acid, Vitamin B1 (Thiamine), Vitamin B2 (Riboflavin), Vitamin B3 (Niacin), Vitamin D2, Vitamin K, Zinc. Like many medicinal mushrooms, Chaga is rich in beta-glucans, which have immunomodulating activities. Beta-glucans bind to Complement Receptor 3 (CR3) that allows the immune cells to recognize certain cells as non-self. Betulinic acid, a constituent of Chaga, is cytotoxic and triggers apoptosis through a direct effect on the mitochondria of cells. 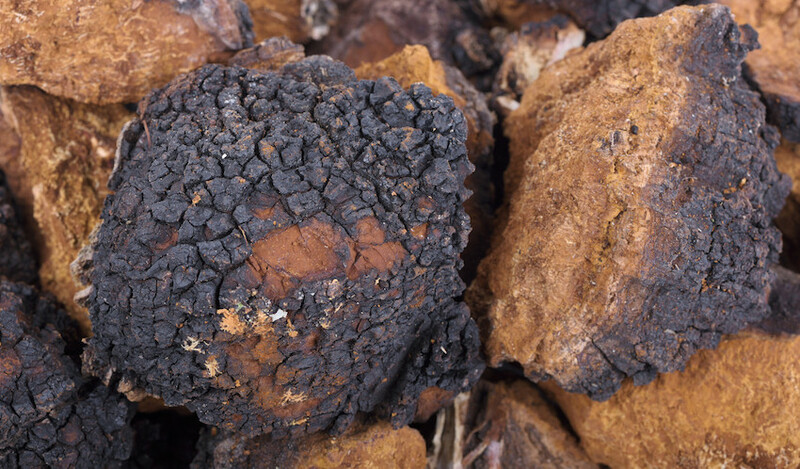 Chaga has demonstrated an ability to restore health over major problems in many reported cases. Chaga is an immune system modulator as well as an adaptogen and has the highest level of superoxide dismutase or (SOD) detected in any food or herb in the world. The following are some properties in Chaga that are antibacterial: Betulinic Acid, copper, flavonoids, inotodiol, lanosterol, magnesium, melanin, pantothenic acid, phytonutrients, polysaccharides, saponins, selenium, sterols, tripeptides, triterpenes and zinc. Chaga is a fungus that draws its nutrients and derives its extracts from the inner layers of the bark of the tree from which it grows on. The Chaga Mushroom is known to grow on different species of trees, but mainly on white and silver birch trees. Chaga has been reported to be found growing on Elm, Hornbeam, Beech and Alder, although this would seem to be a very rare occurrence. 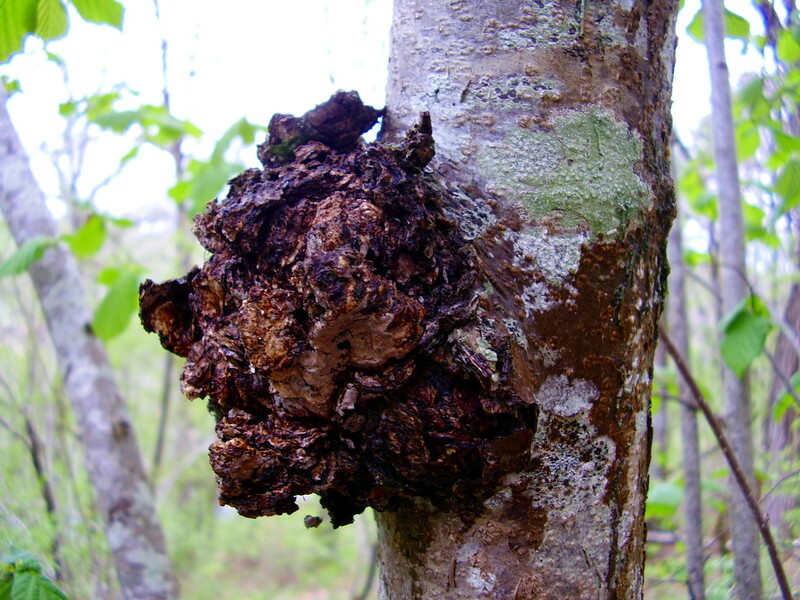 The Chaga conk, which often grows to the size of a football, is normally found in the more cooler climates. Chaga grows in the circumpolar temperate forests of earth's northern hemisphere. Chaga is found where Birch trees and forests are abundant, such as in the Russia, Northern areas of Europe, Scotland, Scandinavia, Canada and certain mountainous northern areas of North America. For thousands of years, Chaga (Inonotus Obliquus) has been revered throughout the known world (Eurasia), where it has been referred to as a precious "Gift from God" and nature's "King of Herbs". Documented back well before the time of Christ, ancient Asian folk medicine practitioners relied upon Chaga, a special mushroom, to maintain a healthy life energy balance ("Chi"), preserve youth, promote longevity, and boost the body's immune system. As a folk remedy, Chaga was ingested by the local people of the Siberian mountain regions in tea or powder form, inhaled from smoke and applied to the skin. Documented in the book "The Shen Nong Ben Cao Jing" in 100 B.C., the Chinese Monk Shen Nong proclaimed Chaga as a superior class herb, because of its diverse and complete health-enhancing properties. The entry reads "A Precious Gift of Nature" and "The King of the Herbs". For centuries, people have used Chaga as a daily supplement for the overall balancing of the body's immune system and promoting good health even for those of advanced years. Historically, some Russians drank Chaga as a daily beverage just as we do coffee or tea. Today, Chaga tea is commonly used in Russian cultures as a family cupboard product to support a healthy immune system. Early Russian culture embraced the use of Siberian Chaga, and its use has spread westward to the Urals and Baltic regions of the European continent. In the 12th Century, Tzar Vladimir Monamah was reportedly treated with Chaga to maintain his health. Siberian Chaga, received acclaim and notice by the Western world when Nobel Prize-winning Russian novelist Alexandr Solzhenitsyn introduced it in his 1968 novel, The "C" Ward, where he talks about the tea from the birch tree mushroom and its beneficial properties. According to thousands of years of testing by Chinese Health Practitioners, mushrooms including Chaga can help to increase longevity, promote health, and boost life energy or "Chi." The biochemistry of these mushrooms is complex and is still being studied. 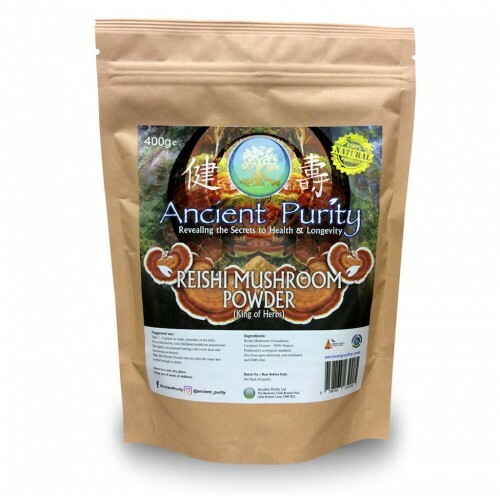 After 40 years of research, the publication of hundreds of clinical, in vivo and in vitro studies, research science is only beginning to understand the life and health-enhancing properties of the class of superior mushrooms. 3,000 BC: Legends of amazing birch fungus found in Western Siberia that has been used in health are told. Chaga is used by the Khanty and other Siberian peoples. 2696 BC: Medicinal Mushrooms are classified by the Shen Nung Pen Ts'ao Ching among the "Upper Class" herbs, as the "King of Herbs" and "Gifts from the Gods"
1000 BC: Chaga is used throughout Asia. In Traditional Chinese Culture, Chaga was used to balance the body's life energy or Chi and enhance immunity. 1955: Chaga is approved for use by the Russian Medical Academy of Science for supporting a healthy immune system. 1968: A book by Aleksandr Solzhenitsyn, Russian novelist, is published, introducing Chaga to the West. 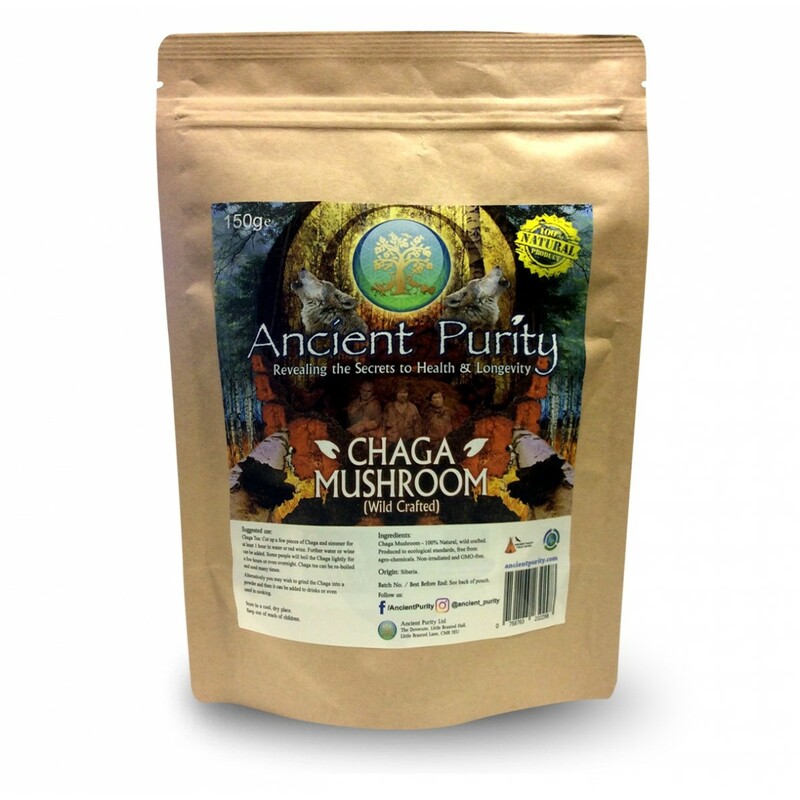 Chaga Mushroom - 100% Natural, wild crafted. Cut up a piece of Chaga and simmer in water or red wine. Simmer for at least an hour or 2 further wine or water can be added. 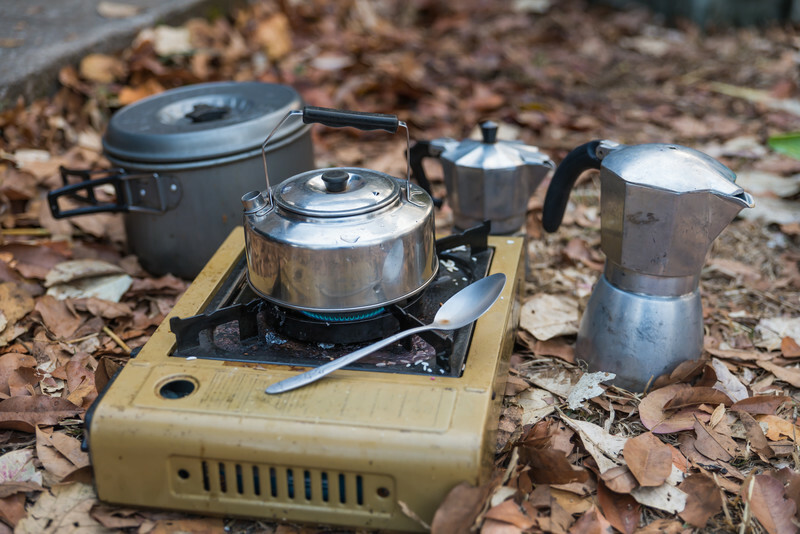 Some people will boil the Chaga lightly for a few hours or even overnight. Chaga Tea can be re-boiled and used a few times before losing potency. You can also use the Chaga tea for enemas if desired. You will find many different methods to use Chaga on different sites. We highly recommend David Wolfes book "Chaga" King of the Medicinal Mushrooms. Q - Some people are selling Chaga powder is it better? A - We prefer to take it straight from the tree and let you use it as see fit. You could grind/mill it then use, its debatable how this effects Chaga, just as for example went using a centrifugal juicer on vegetables, the cutting can effect the enzymes. We have no proof of the but at Ancient Purity we like our Chaga in chunks, so that how we provide it. Q - How many times can i re-boil a piece of Chaga?. 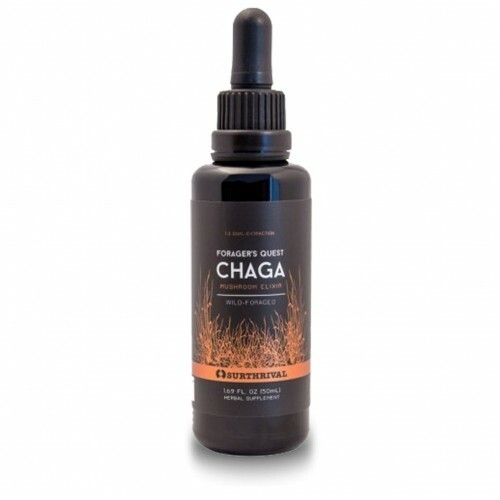 Q - I have a major health issue, how should i use Chaga? A - We recommend David Wolfes book "Chaga" King of the Medicinal Mushrooms.